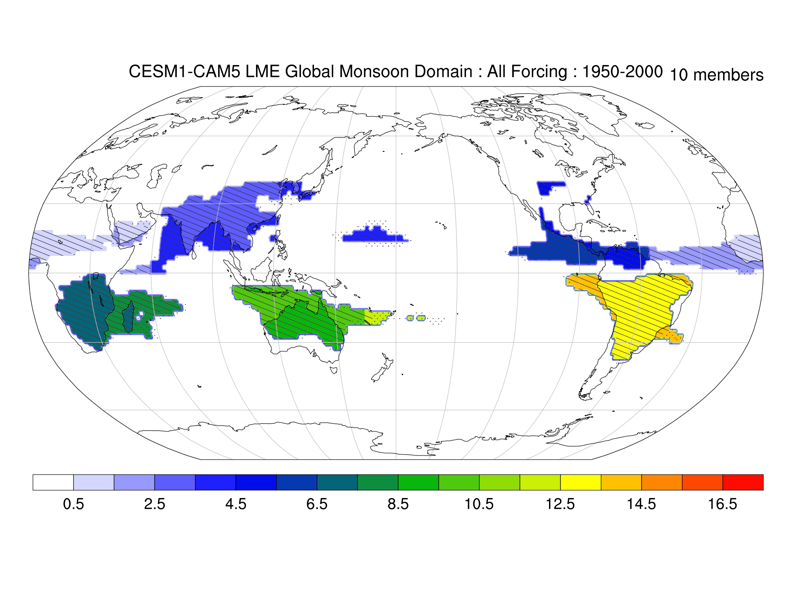 We are examining the interaction between volcanic eruptions, the El Nino/Southern Oscillation, and hydroclimate variations in our study regions using the CESM LME. 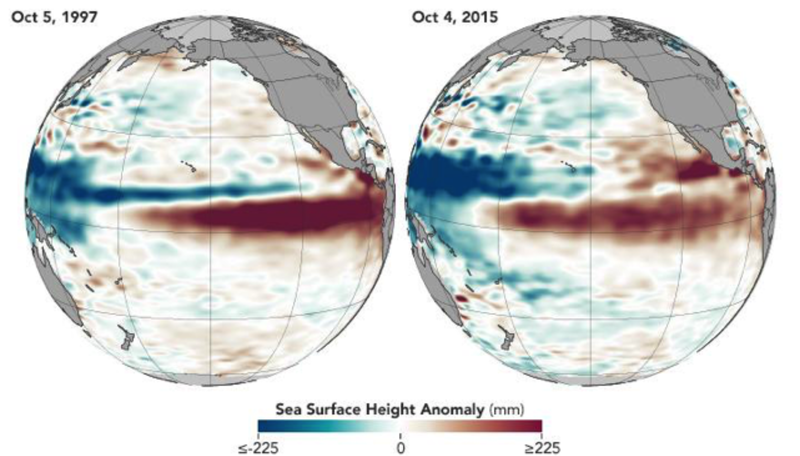 Eruptions tend to ‘trigger’ El Nino events, but can also create patterns of hydroclimate anomalies which resemble the El Nino teleconnection in some regions. We are studying the implications of these similarities for interpretation of both the proxy record and biases in the CESM. We are currently analyzing lake sediment records from western Amazonia. Mud from sediment cores collected in Peru and Ecuador suggests that repeated multi-year drought has occurred regularly in Amazonia and thus could be a threat in the future. We are also using the Last Millennium Ensemble runs from NCAR’s CESM to study the potential impacts of volcanic eruptions on drought in Amazonia. 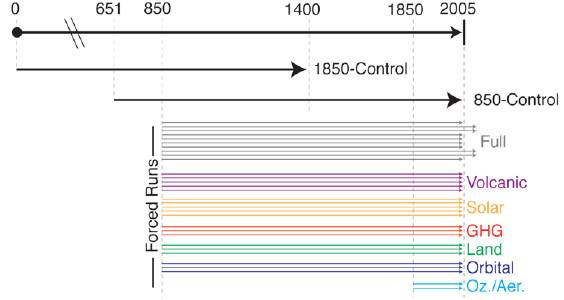 The CESM Paleoclimate Working Group at NCAR conducted a series of Last Millennium community experiments, referred to as the Last Millennium Ensemble (LME). The LME used a ~2-degree atmosphere and land, ~1-degree ocean and sea ice version of CESM-CAM5_CN (1.9x2.5_gx1v6). 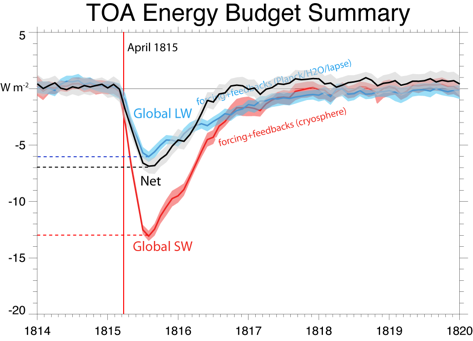 Ensemble members extend from 850 to 2006 using reconstructions for the transient evolution of solar intensity, volcanic emissions, greenhouse gases, aerosols, land use conditions, and orbital parameters, together and individually. We have completed 30 simulations for the LME project: 10 simulations with all transient forcings, smaller ensembles with each transient forcing separately, and long 1850 and 850 control simulations. Ensemble spread is generated using round-off differences in the initial atmospheric state. We are using paleoclimate data in conjunction with observations and climate model output to get a better understanding of how frequent long droughts are in the Indian monsoon region and what causes them. A large component of this involves using proxy system models to construct pseudoproxies from climate data in order to facilitate apples-to-apples comparisons between paleoclimate data and model output. 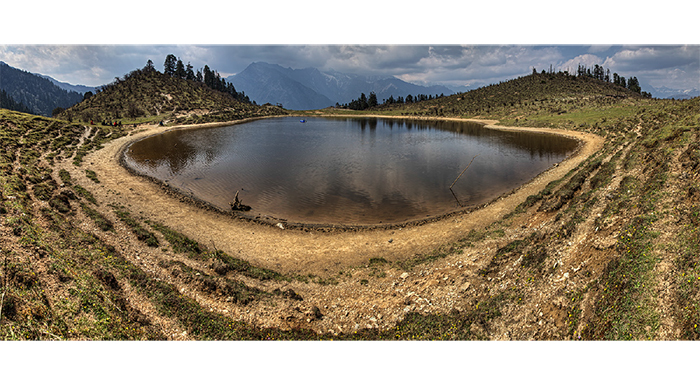 As part of this project we have collected lake sediments from Nepal and are analyzing them in the lab to reconstruct the most severe droughts over the last 3000 years. 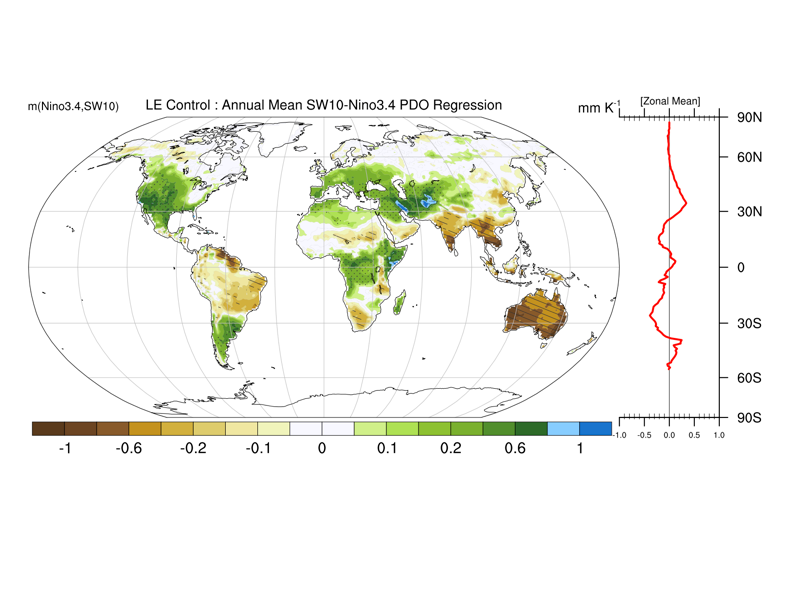 The El Nino/Southern Oscillation (ENSO) influences hydroclimate worldwide, and changes to ENSO and its teleconnections under global warming are expected to influence the risk of drought on interannual and decadal timescales. The CESM Last Millennium Ensemble (LME) is used to provide a long-term context for the impact of El Nino and La Nina events on drought, and the Large Ensemble (LE) then used to assess how the risks are expected to change due to future warming. Volcanic eruptions strongly affect the El Nino/Southern Oscillation under some conditions, but the number of unknowns associated with past eruption properties makes it difficult to determine which aspects of the volcano/ENSO interaction are correctly captured by climate models. Idealized experiments run with the CESM are used to determine how the season of eruption occurrence affects the likelihood of El Nino initiation during the following boreal winter, and the ocean heat budget computed for all experiments to analyze the mechanisms for differences between simulations. 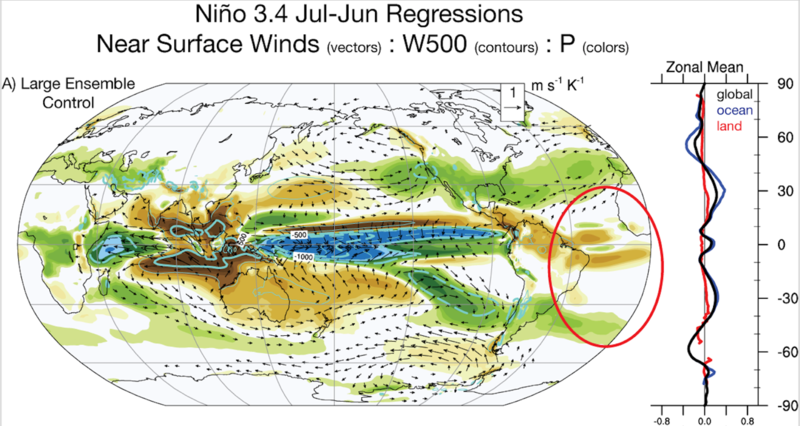 The character of El Nino and La Nina events affects the nature of remote teleconnected responses, and has implications for drought and flooding in arid regions. Previous studies suggest that greenhouse warming may lead to more frequent 'Central Pacific' type El Nino events, but the robustness of this result is unknown. The CESM Last Millennium Ensemble is used to assess which external forcing factors have the strongest impact on ENSO diversity, and results are projected into the 21st century using the Large Ensemble. Comparisons with single-forcing experiments with the CMIP models are also performed, to see how results change in a multi-model framework. The El Niño / Southern Oscillation phenomenon is the dominant mode of internal climate variability and has profound influence on drought risk. In this project the changing nature of that risk is examined using simulations from the NCAR Large Ensemble (LE). 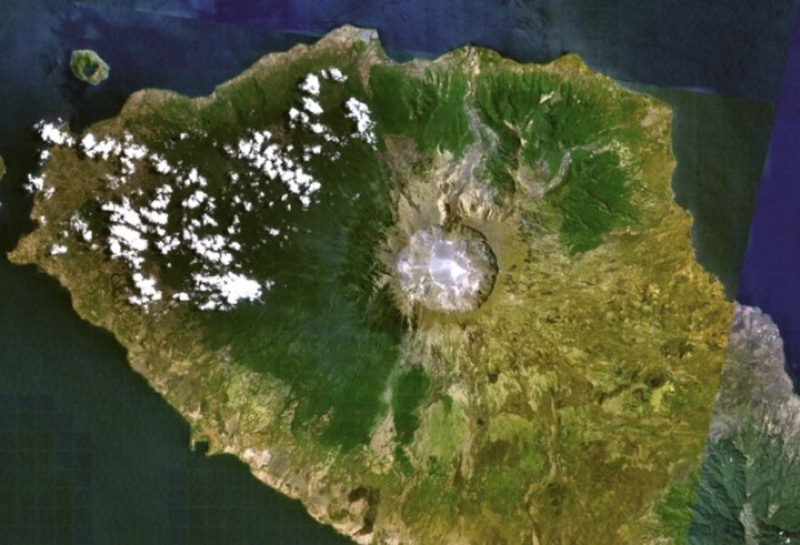 Two centuries ago, a major volcanic eruption occurred, disrupting climate with severe impacts on societies worldwide. While documentation of the event was generally sparse, reports from some regions were detailed such as recordings of the “Year Without a Summer” in the northeastern United States. Here, the simulation of this event in the NCAR Last Millennium Ensemble is examined in order to provide a broader understanding the event. Additional simulations of such an eruption in the late 21st century under business-as-usual conditions are conducted and examined in order to understand the evolving risks of a similar event. The tropical monsoons often act in concert, with coherent changes associated with both internal (i.e. ENSO) and forced (i.e. volcanic) variability. The term ‘global monsoon’ is often used to describe such variations. Yet the extent to which the global monsoon is able to explain variability at regional scales across timescales remains unclear. Here, the importance of the global monsoon concept is explored over the last millennium using simulations from the NCAR Last Millennium Ensemble. 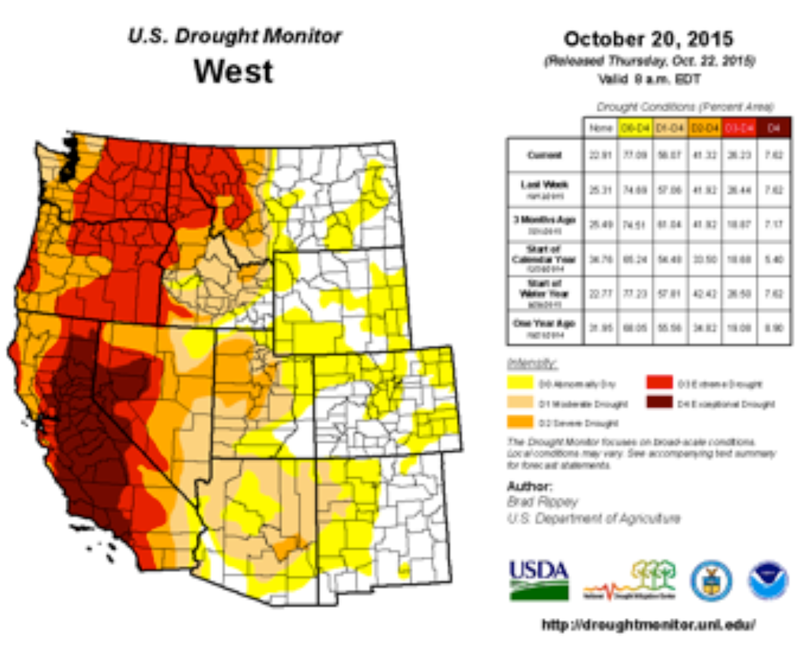 Observations of trends in drought and wildfire over the past several decades have been widely interpreted as being associated with anthropogenic climate change. In fact, such observations are always a blend of internal (i.e. unforced) and forced climate variability. In this study the relative contributions of each to observed trends is estimated in order to provide a more complete description and understanding of recent drought and wildfire trends, and implications for future risks.